Communal living can be challenging. You’ve got to accommodate other people and their (sometimes) annoying habits. They can be noisy and untidy. Occasionally they make you sick. And vice versa. Consider following a few simple rules to make residence life healthier for everyone. Your university years are a great time to eat, drink, exercise, study and celebrate – all in moderation. Exercise is good for you until you overdo it and injure yourself. Study is essential, but sleep-deprived study sessions can weaken academic performance. Partying can be fun, but too many late nights leads to exhaustion and poor grades. One of the best ways to avoid colds and flu is to wash your hands regularly with soap and warm water and dry them using a clean towel. When? Before eating, after using the washroom, and after working in a lab, kitchen or high-traffic area such as a lecture theatre or study hall. Avoid sharing towels, washcloths, toothbrushes and razors with others. Dispose immediately of tissues, dental floss and bandages. Don’t spit in public places. It’s a health risk and just plain disgusting. Nobody wants to share your germs. If you’re sick, stay in bed and get rest. Most of your professors, teammates and friends will forgive your absence. 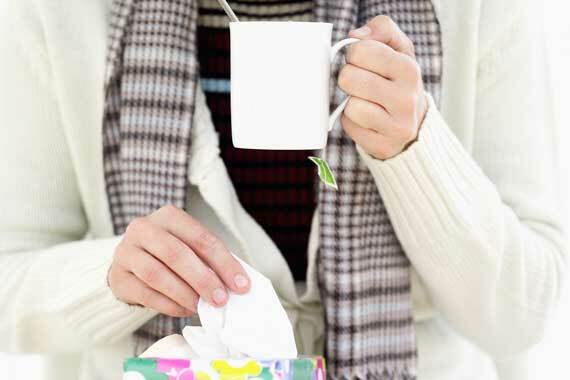 Learn the symptomatic differences between a cold and flu and take your doctor’s advice to get better. One of the best ways to avoid the flu is by getting an annual flu shot. They’re free and available on campus. Consider updating other common vaccines before moving into residence, especially the vaccine for meningococcal menin­gitis. Check B.C.’s immunization website for information about which vaccines are advised and for whom.